Weight monitoring should continue during the pregnancy phase to ensure that heifers are achieving growth targets based on percentage of mature body weight. Inadequate growth will result in heifers calving underweight and reduced milk yields in their first lactation. Body weight should be around 55% of mature body weight at breeding and around 90% of mature body weight at the end of the pregnancy phase. Excessive growth creates its own problems too. It can result in increased calf birth weight and dystocia if it occurs in the last trimester of pregnancy. If heifers are too fat right before calving, dry matter intake (DMI) before and after calving will be reduced, and this will contribute to any negative energy balance (NEB) problems. The target body weight is 90% of the mature body weight (MBW). For a Holstein cow with a mature body weight of 650kg this means a weight of 585kg at 23 months of age, achieving an average daily gain (ADG) of approximately 800g per day. A heifer’s mineral requirement remains roughly the same during phases 4, 5 and 6 – the grower, puberty and pregnancy phases. It’s extremely important to meet the needs of these young and growing animals. In many cases, the uptake of vitamins and minerals from the base ration is insufficient. Shortages of important trace minerals and vitamins are often the main cause of fertility problems and hoof problems. Minerals like selenium and copper are crucial to support fertility, as is vitamin E. Also, biotin and zinc have important roles in strengthening the hoof. The mineral needs of the growing heifer are met with Rupromin Heifer. This mineral complements the young stock ration by offering a complete package of vitamins and minerals, combined in one bag, to support hoof health and bone and bodyframe development. In a grazing system, heifers should experience going out on grass before they enter the main milking herd to avoid the stress of a new environment at this time. Heifers, like cows, like quality grassland. To achieve an age of first calving (AFC) of 24 months, they must get high quality feed – even when grazing. Calves should be treated with an anti-parasite drug to prevent worms which will prevent growth and affect their performance. Calves should have clean grassland without dung left from previous grazing or manure fertilization. This ensures parasites are minimized and it also increases the palatability of the grass and the nutrient intake, and therefore growth. 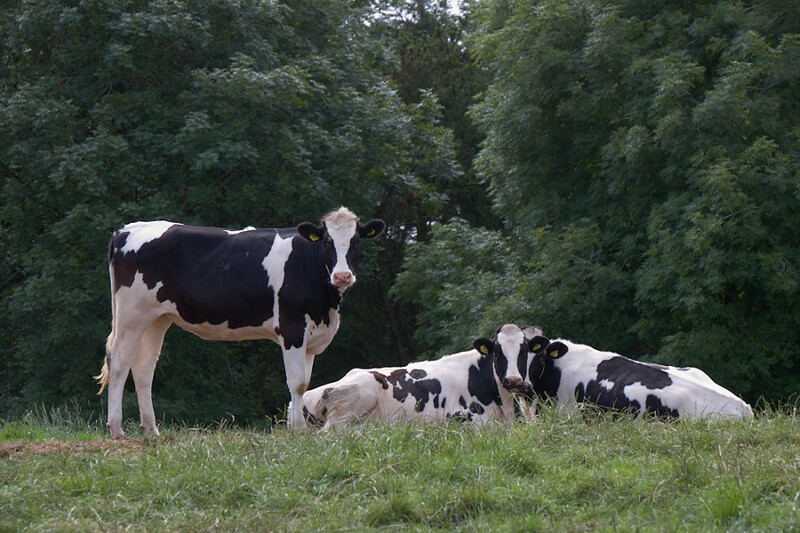 Up to 12 months old, heifers should ideally graze new and relatively young grass. They prefer this easily digestible grass when their rumens are still developing. To fulfil mineral and vitamin requirements, having a mineral bucket available will support the general immunity and fertility. Overall, grazing heifers offers benefits and an AFC of 24 months is achievable. It relies on high quality grass being made available that can provide the nutrients to match the heifer’s requirements at this stage. 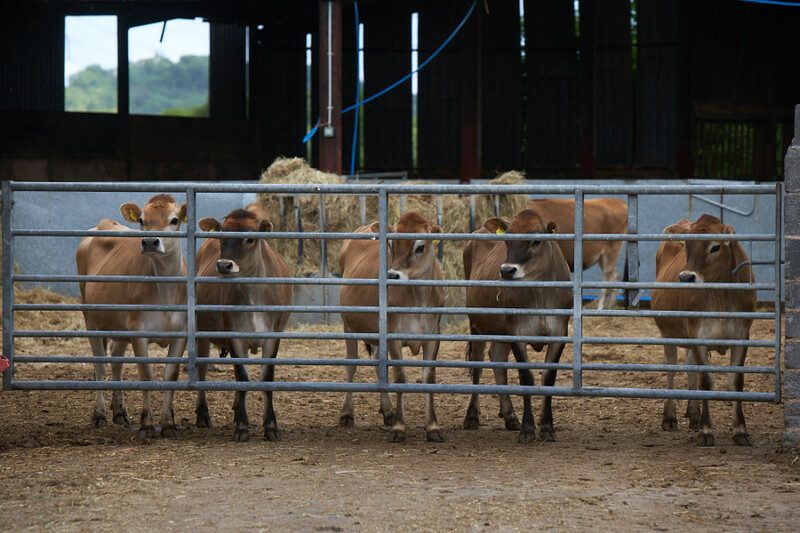 A successful grazing strategy for heifers will is good preparation for grazing as part of the milking herd at a later stage. Good housing conditions contribute to efficient youngstock rearing and ensures their potential growth from the nutrients in the diet is achieved and not wasted by spending energy on staying warm or fighting off high pathogen loads. Poor housing conditions, such as poor ventilation, can lead to poor feed intakes, low growth rates and poor feed efficiencies. It can also have serious long term effects on lifetime lactation. Excess moisture, originating from the animals and bedding, combined with heat is an ideal breeding ground for pathogens. This increases the risk of pneumonia so should be avoided. Excess moisture from leaking gutters, water troughs or broken buckets should also be avoided. The air around calves should be similar to the outside air. Stale air has a much higher viable airborne pathogen load. Fresh air is important but draughts are very dangerous. The right air speed will depend on the age and number of animals in the building. The air speed itself, within a barn, is the product of the air inlet and air outlet size and position. A smoke test will help to determine air movement in buildings. The stack effect works by air flowing past the animals, which is warmed up through heat generated by the animals, and rising to the top where it leaves the building through the outlet. As the warm air leaves, negative pressure draws in fresh air from the inlets. However, this only works if there is enough heat generated by the animals to create the effect. Youngstock create less heat than adult dairy cows and this needs to be taken into account. If, for example, the building is too wide for the number of stock being housed, the cool air can drop instead of leaving through the outlet. 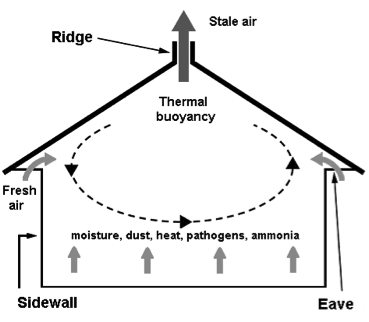 A smoke test can help determine whether the stack effect is working. Appropriate lighting is important, especially during the breeding phase to stimulate the oestrus cycle. For housed animals, 10% of the natural light should be able to reach the pens from clear roofing panels. For artificial lighting conditions, the intensity should be between 100 and 200 lux. Artificial light should resemble natural lighting and follow the daily pattern of natural light. Ideally air should always flow from the youngest to the oldest animals and sick animals should be kept separately. Heifers should be grouped according to size and weight and not just by age. Cubicles need to be designed to suit the animals at both the start and the end of the housing period. Animals must be able to lie down in the cubicles at any time. For younger animals is it advised to provide some bedding in the cubicles as concrete is cold. Pregnant heifer should be introduced to the main dry cow group at least four weeks prior to calving. More tips on housing and a smooth transition into the dairy herd.